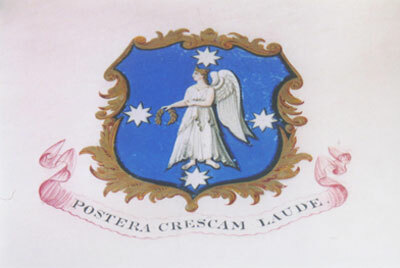 The later half of the 19th century proved an economically prosperous and exciting time for Melbourne and Victoria. With the Victorian Gold Rush beginning in 1851 and running into the late 1860s, Victoria dominated the world’s gold output, and in one decade the population rose from 75,000 to over 500,000, with some places seeing a 3000% increase. Victoria suffered from an acute labour shortage despite its steady influx of migrants, and this pushed up wages until they were the highest in the world. During these years, Victoria was known as the ‘working man’s paradise’, and people from all around the world migrated to Melbourne hoping to find their riches in the Gold Rush. This was a time of industrial change, as alluvial gold ran out, deep or underground mining began, which benefited from the development of new machinery that improved processes. Given that the Australian colonies lay so far away from Europe, the ‘do-it-yourself’ mentality was highly valued, and there was often little separation between the role of an Engineer, Mechanic, Builder, Architect or Mason. 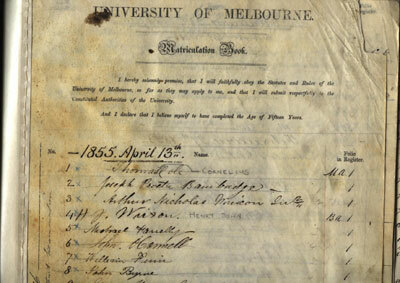 It is not merely coincidental then, that 1861 was the first year that The University of Melbourne taught engineering. By 1861 the University offered a three-year Certificate of Engineer (CE), which required matriculation, or a two-year Certificate of Surveyor. First and second year students studied geometry, trigonometry, algebra, drawing and mapping, surface and mining surveying and levelling, followed by theoretical and practical geodesy, natural philosophy, chemistry and mineralogy and geology. In third year, civil students faced exams in natural philosophy, technical drawing and descriptive geometry, co-ordinate geometry and differential calculus and either Practical Mechanics (which included machinery and mechanical engineering, theory and sources of motive power and hydraulic engineering), or Architectural Mechanics (which comprised of strength of materials, equilibrium of structures and architecture). There was a total of 15 students enrolled in this first year, and by 1864 this number had dwindled to nine students. Early struggles were indicative of two major problems that persisted throughout the University’s early years. 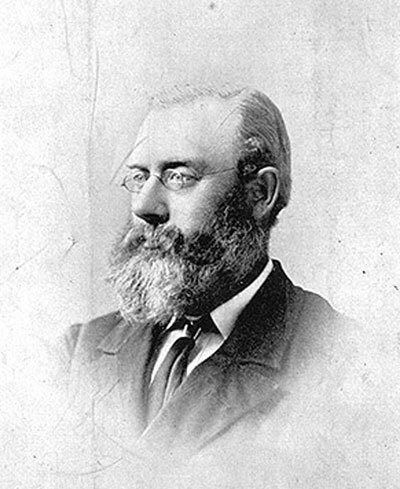 Melbourne’s wider engineering societies had an inherent faith in apprenticeships and vocational training, and generally believed that engineers needed on-the-job training, not academic training. Further, these societies were unwilling to set exam requirements for entry into the profession, and the University’s Certificates went unrecognised by these societies as formal engineering qualifications, meaning they had little value to engineers outside of the university. These problems went unresolved for many years, nevertheless in 1866 the first Certificate of Engineer was awarded to William Noyce Kernot, and by 1871, eight students had passed all of their subjects.